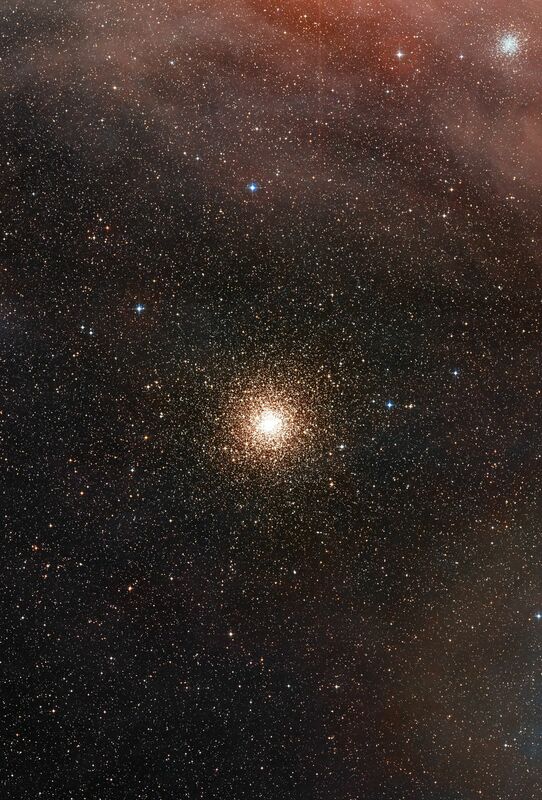 This wide-field view is centred on the globular star cluster Messier 4 (NGC 6121) in the constellation of Scorpius (The Scorpion). It is a colour composite made from exposures from the Digitized Sky Survey 2 (DSS2). The smaller globular cluster at the upper left is NGC 6144. It is similar to Messier 4, but more than three times further away. The red glow of clouds of hydrogen and associated star formation can also be seen in the upper left corner and the bright star Sigma Scorpii can be seen at the upper right.